Meet the team that makes science, technology, engineering and math come alive! Our mission is simple: to make science, technology, engineering and math come alive. A community where all people value science, technology, engineering and math to inform decision-making and enrich lives. We help people learn STEM by doing STEM and believe that it is best learned through real scientific challenges. We cultivate creative, innovative, critical thinkers for the 21st century. We support a learning culture that encourages curiosity and experimentation. We bring people together by creating welcoming, fun and high-quality guest experiences. We strengthen our community impact by collaborating with other organizations and connecting to STEM resources in our region. We ensure our future by maintaining our long-term fiscal and staff sustainability. A widely published science center veteran, Dr. Kirsten Ellenbogen brings more than 25 years of experience to her role as the third president of Great Lakes Science Center. Dr. Ellenbogen’s energetic leadership during the last two decades has advanced informal STEM education through four grant-funded, national centers. 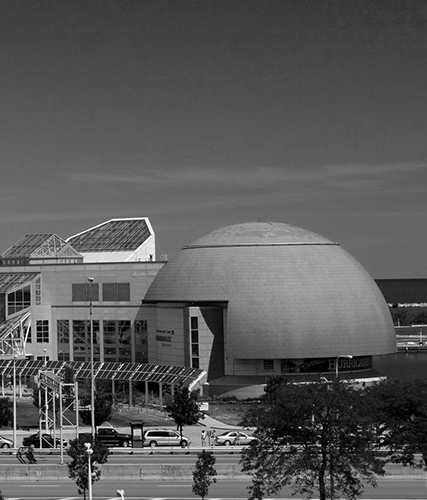 Her leadership activities at Great Lakes Science Center have included the launch of a new strategic initiative, Cleveland Creates, developed in collaboration with regional workforce development leaders to change the community’s manufacturing narrative through STEM education opportunities for diverse middle-school youth and families. Dr. Ellenbogen has worked at five museums during the past two decades and consulted for more than 30. 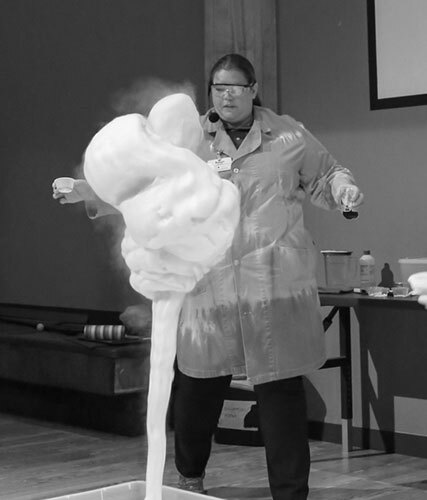 She began her work in museums at the Detroit Science Center in 1987 and has worked as a demonstrator, hall interpreter, exhibit developer, evaluator, and researcher. Her leadership activities for the field include serving as a founding officer of the Informal Learning Environments Research SIG-American Education Research Association, senior chair of the Informal Science Education Strand-National Association for Research in Science Teaching, and training coordinator of the Visitor Studies Group (UK). She has been appointed to Section X of the British Association for the Advancement of Science and to the National Academy of Sciences' committee that produced the volume, Learning Science in Informal Environments. In 2007, she was elected treasurer and then president of the Visitor Studies Association, a national association dedicated to understanding and enhancing learning experiences in informal settings through research, evaluation and dialogue. She was selected to be a Noyce Leadership Fellow in the third cohort of the program, and led a strategic initiative focused on using the museum’s resources to help policy makers use scientific evidence to inform their decisions. She also served as co-principal investigator of the Center for Advancement of Informal Science Education that works in collaboration with the National Science Foundation to strengthen and advance the field of informal STEM education. Most recently, she is a founding leader of the Northeast Ohio STEM Ecosystem collaborative and has been appointed to serve on the Mayor’s Steering Committee on Sustainability, as well as the Planning and Urban Design Committee of the Group Plan Commission. Recent awards include the 2017 Crain’s Women of Note and the 2015 STEMCON Community Inspiration. She serves on the board of trustees for the Rock and Roll Hall of Fame and Museum, the Cleveland Water Alliance, the Friends of MC2STEM High School, and the Association of Science-Technology Centers. She holds a Ph.D. in Science Education from Vanderbilt University and a B.A. from University of Chicago. Ken Sinchak joined the senior management team at Great Lakes Science Center in January, 2016 after serving as the interim chief financial officer for several months. He is no stranger to the world of non-profit institutions in Northeast Ohio, having served as vice president of finance and chief financial officer at the Cleveland Botanical Garden for nine years before coming to the Science Center. Within the Science Center’s Finance Department, Sinchak oversees three full-time staff members and all facets of the institution’s financial operations including budgeting, long-term forecasting, payment obligations, payroll, parking garage and harbor leases, financial reporting, and cash flow. Before joining the non-profit sector Sinchak had a long financial leadership career in the corporate world including serving as CFO at S.S. Kemp & Co. and tax and accounting software publisher CPAid, Inc. He also taught accounting as an adjunct professor at Lake Erie College in Painesville and Lorain County Community College in Elyria. Sinchak earned his bachelor’s and master’s degrees in accounting at Cleveland State University. He is a certified public accountant, a Charter Global Management Accountant and a member of the American Institute of CPAs, the Ohio Society of CPAs and the Institute of Management Accountants. He also serves on the finance committee of the board of directors at Magnificat High School. Sinchak resides in Independence with his family. Val Davillier brings 27 years of experience in informal museum exhibit development, design, and fabrication to his role as vice president of exhibits at Great Lakes Science Center. Davillier currently manages the development and creation of new exhibits, the traveling exhibition program, and the maintenance of more than 400 hands-on exhibits and numerous artifacts. He manages a staff of highly motivated technicians and a fabricator. He also serves as Co-Principal Investigator of the NIH Science Education Partnership Award (SEPA), in conjunction with the Clinical and Translational Science Collaborative at Case Western Reserve University. He began his career creating and managing the development of informal learning experiences and environments as the Science Center’s Production Manager in 1994. He earned degrees in painting from the University of New Orleans and the University of Cincinnati. He is a member of the American Alliance of Museums and a member of the National Association of Museum Exhibitors. Davillier values the unique capacity of hands-on, playful informal environments that not only educate us, but also remind us that science and technology environments can become valuable aesthetic experiences that nurture the spirit and inspire the mind. Sue Allen is responsible for the overall leadership of strategic marketing, communication, special events and sales to strengthen the Science Center's role in the community, increase attendance and improve sales volume. Allen was most recently with Cleveland Metroparks as Director of Communications from April 2013 to April 2015 where she was responsible for internal and external communication strategies, media and public relations and social media. Prior to that, she spent 23 years as Manager of Marketing and Public Relations for Cleveland Metroparks Zoo where she led marketing and communication initiatives that increased Zoo attendance and reinforced the organization’s mission. Before moving to Cleveland in 1990, Allen was Marketing and Promotion Director at Kravis Broadcasting in Tulsa, Oklahoma. Allen also serves on the boards of Shoes and Clothes for Kids and the Old Brooklyn Development Corporation. Allen graduated from Coe College in Cedar Rapids, Iowa with a bachelor of arts degree in sociology and has been honored as a recipient of the Distinguished Marketing and Sales Executive award from the Sales and Marketing Executives of Cleveland. Originally from Chicago, Allen resides in Cleveland. ​Scott Vollmer joined the senior management team at Great Lakes Science Center in November 2017, after 10 years at the National Inventors Hall of Fame in North Canton. Vollmer worked in a variety of roles at the NIHF, most recently serving as the institution’s vice president of creative and program development. During his time there, he led a diverse team of designers, scientists, educators and engineers to create products and experiences that advanced the pioneering spirit of America. 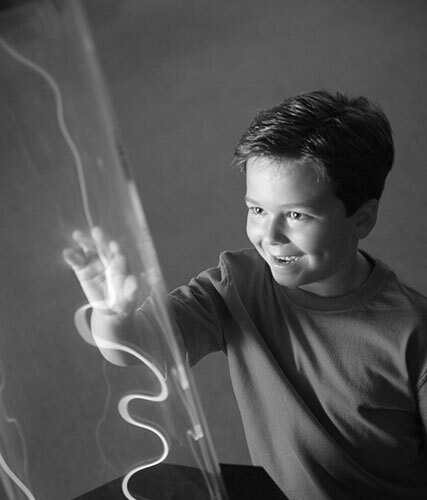 In his new role as vice president of STEM Learning at the Science Center, Vollmer directs all of the museum’s STEM learning initiatives including programs for school groups, the general public, early childhood, home school, Great Science Academy, day camps and the volunteer staff. Vollmer is a passionate leader whose career is firmly rooted at the intersection of creativity and innovation. He believes the Science Center is an institution for change and can be an essential catalyst within the community for nurturing the next generation of STEM leaders. 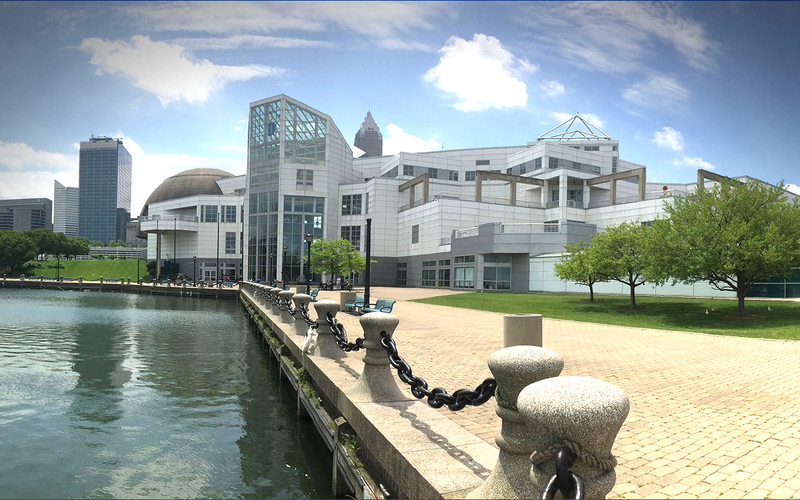 Vollmer is excited to work with Science Center President & CEO Kirsten Ellenbogen in articulating the museum’s mission to current and future community partners. Vollmer is a lifelong resident of Northeast Ohio. In addition to his extensive work at NIHF, he served as executive director of After-School All-Stars Cleveland. He received a bachelor’s degree in history from the University of Akron. He also holds several utility and design patents and received three Addy Awards for excellence in advertising. He lives with his wife, Celeste, and son, Isaac, in Akron. The newest member of the senior management team at Great Lakes Science Center is Amy Pausche. She joined the Science Center in April, 2018 after serving as development director at the Ronald McDonald House of Cleveland for the last three years. As vice president of development, Pausche is responsible for all aspects of revenue generated by the Science Center outside of the box office, including grant applications, individual and corporate giving, planned giving, sponsorships and fundraising. The Development Department also coordinates the Science Center’s annual report to the community and the activities of the Garrett Morgan Professionals Group. Pausche has a true passion for helping non-profit organizations achieve their goals. Before joining the Ronald McDonald House, she led the Leukemia & Lymphoma Society of Cleveland as executive director from 2009 to 2014, and prior to that, helped the same organization as campaign manager for the successful Light the Night Walk and Man & Woman of the Year campaigns. “I love seeing the magic that happens in the collaboration between the folks that fund these amazing organizations and the wonderful individuals who receive their services. It’s an incredible feeling to help transform dollars into experiences,” Pausche said. As a native of Northeastern Ohio, Pausche is a big Cleveland Indians fan. She also coaches baseball for kids and enjoys spending time with her family exploring the Cleveland area and the Cuyahoga Valley National Park. She currently sits on the board of The Union Club in Downtown Cleveland, and co-chairs an alumni committee for her alma mater, Roanoke College in Salem, Virginia, where she graduated with a bachelor’s degree in economics.